Small Circle Template TD1200 - GS Direct, Inc. Contains: Thirty-nine cutouts. 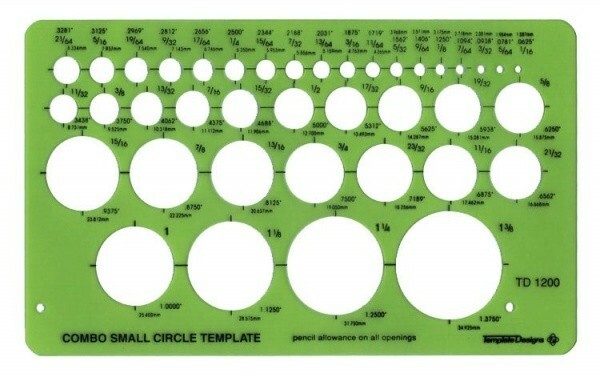 Size range: 1/16" to 13/8".